"The advantage of joining a rand monetary union would be that it would foist some much-needed discipline on the Zimbabwean economy," Biti said. "It would also enhance regional integration" by giving manufacturers in the country access to 300 million consumers in southern Africa, compared with the 100 000 he estimates can still afford goods usually bought by the middle class in Zimbabwe, he said. 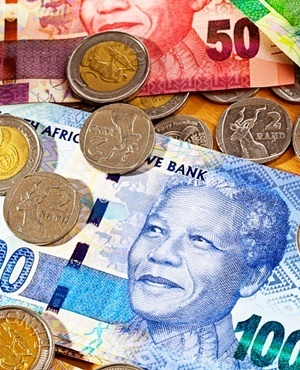 The rand has had a strong start to the year, gaining 5%. That makes it the second-best performing emerging markets currency, based on a basket selected by Bloomberg, behind the Russian ruble. The rate rose to 42% in December from 31% in November. Price-growth risks are entering another hyperinflationary cycle, driven by the government’s "insatiable appetite" to spend money it doesn’t have, Biti said. "To have two hyperinflationary spells in a period of 10 years is a miracle of failure," Biti said.